Bedfordshire Police and Crime Commissioner Kathryn Holloway will pledge to boost visible policing in Biggleswade by announcing plans for a new community hub in the town. The new plans, which will include details of additional officers and resources, will be revealed at a public meeting on Tuesday, September 20 at the Old Court House on Saffron Road from 6pm. The PCC will be joined by Deputy Chief Constable Mark Collins, Superintendent for the North Julia Pink, Community Cohesion Inspector Hob Hoque and Special Chief Officer Wayne Humberstone, who is also Head of the Force Control Room. “I’m fully aware that residents of the smaller towns like Biggleswade feel they’re losing out on policing due to the demands of larger towns like Luton and Bedford,” said Commissioner Holloway. “I gave an absolute commitment to the people of Bedfordshire to increase community police officers on the frontline and ensure they are deployed in the highest profile ways possible in town centres where local residents and workers can see them out and about. 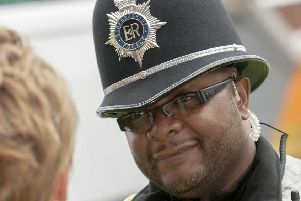 “These will be additional officers, specifically recruited to police Biggleswade in this way. It is genuinely good news for the town and marks a sea change in the way the Force is policing the county, getting back in touch with communities, face to face. “With the introduction of new Community Hubs across the county, officers will be able to tackle the issues that specifically affect Biggleswade, like anti-social behaviour and speeding offences, and this personal approach will offer a more effective service. “There will also be an additional boost to Biggleswade with the introduction of the new cadet unit in the town, which will cover Shefford and Sandy, and local young people can get a taste of policing and contribute to their county through their police force,” she said. The Deputy Chief Constable will give details of the numbers and ranks of officers who will comprise the Biggleswade Hub and how he expects them to police the town. Community Cohesion Inspector Hob Hoque will explain the role of his team of officers in reaching out at community events, encouraging the Biggleswade Town and Parish Councils and other town organisations to contact him to arrange involvement. Wayne Humberstone will explain the way the control room is working, especially in relation to use of the 101 number and, as he is the Chief of the Special Constabulary, will encourage recruits to the Specials, who gain full warranted policing powers to further boost policing in the town.